this company offers a very fast competitive service for all your metal detecting needs, its a pleasu.. Received my order this morning. Fast delivery. Many thanks for the extra parts which were not part o..
Just to let you know everything arrived safely. You should know that you were a pleasure to deal wi.. 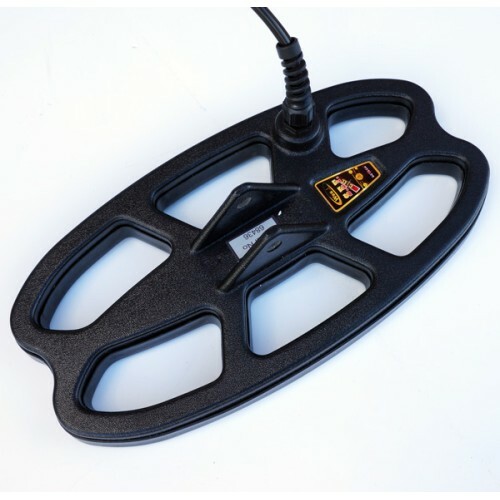 This all new 10x5 SEF coil is and excellent choice for your metal detector. It is extremely light, weighing in at just 505g (17.8oz) including coil cover. The slimline elliptical shape makes this nimble little coil is the perfect accessory for tackling highly mineralised and trashy sites. Advanced circuitry ensures every last drop of depth and sensitivity can be squeezed from this little gem. Because we deal direct with Detech, you can be sure all our coils are 100% genuine and are backed by the manufacturers full 2 year warranty. The all new 10x5 SEF coils are supplied with a coil cover fitted. Please note we now stock a wide range of Detech search coils including the popular SEF & Ultimate range for a wide range of popular metal detectors.